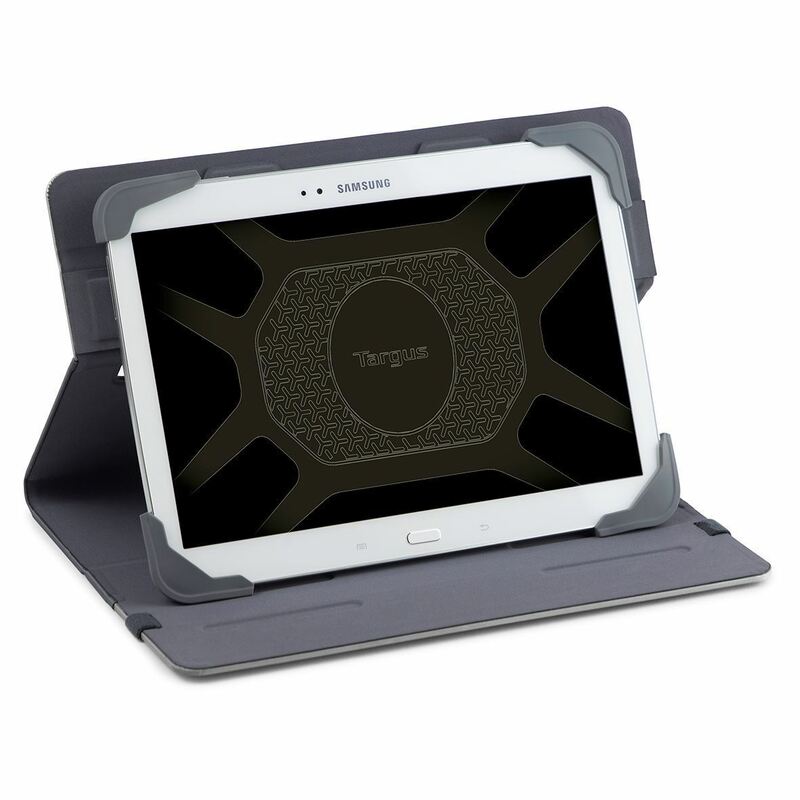 Targus Fit N’ Grip Universal 360° Rotating tablet case is designed to secure and protect your 9-10” device. Fit & Grip is a stretchy shock-absorbing silicone system which grips your tablet on all four corners and secures safely inside the case. 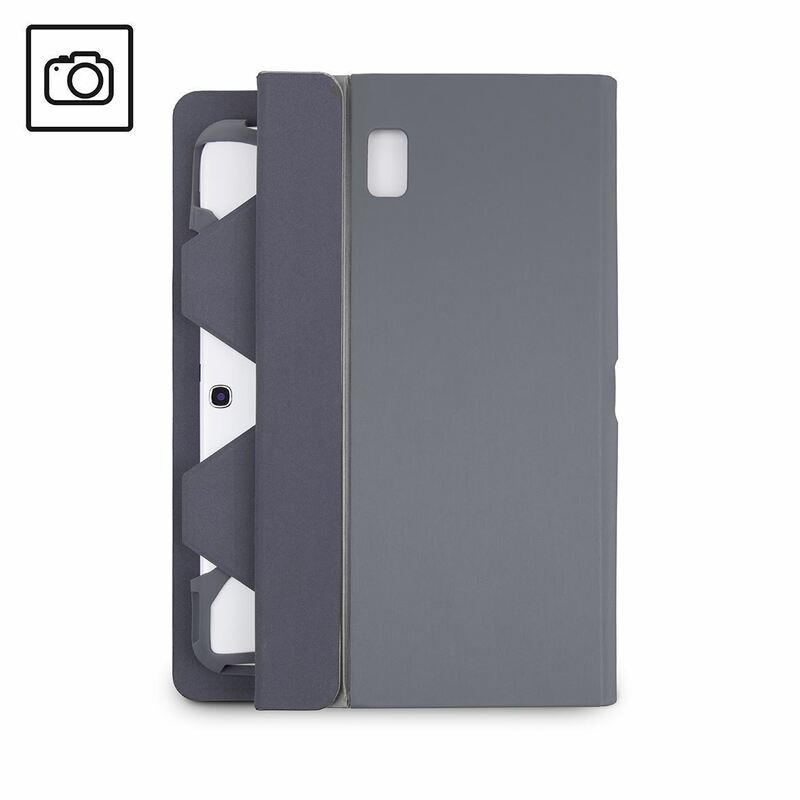 Clever use of magnets and the Fit & Grip system means you can use your tablet camera from inside the case. 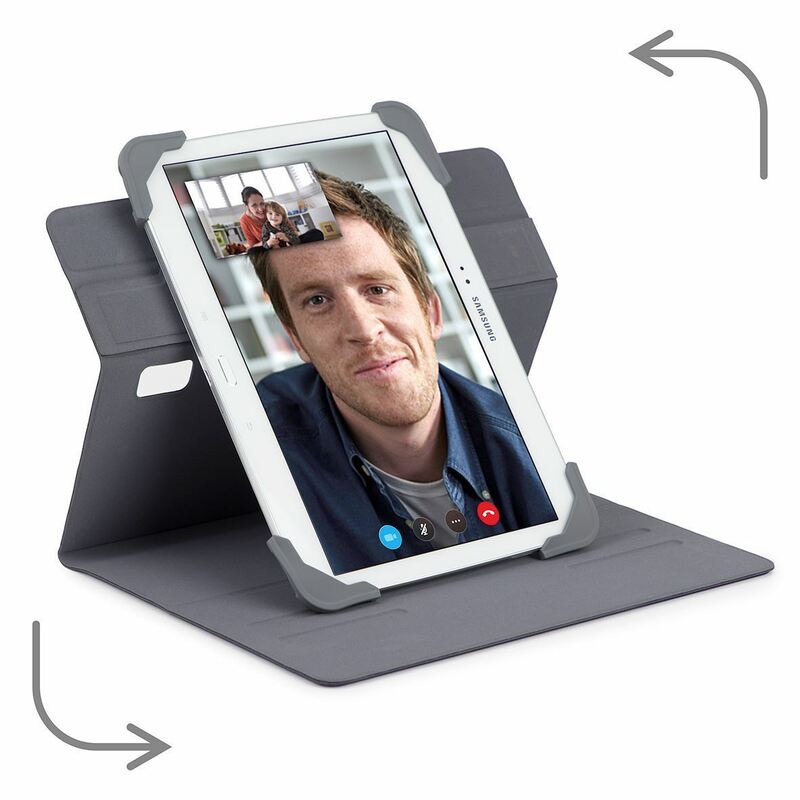 Also enjoy a seamless transition between portrait and landscape viewing with rotating cradle. All around protection from everyday drops, bumps and knocks, the case surrounds your device in a soft interior with a durable front cover that is secured with an elastic closure. Angle Your Experience. 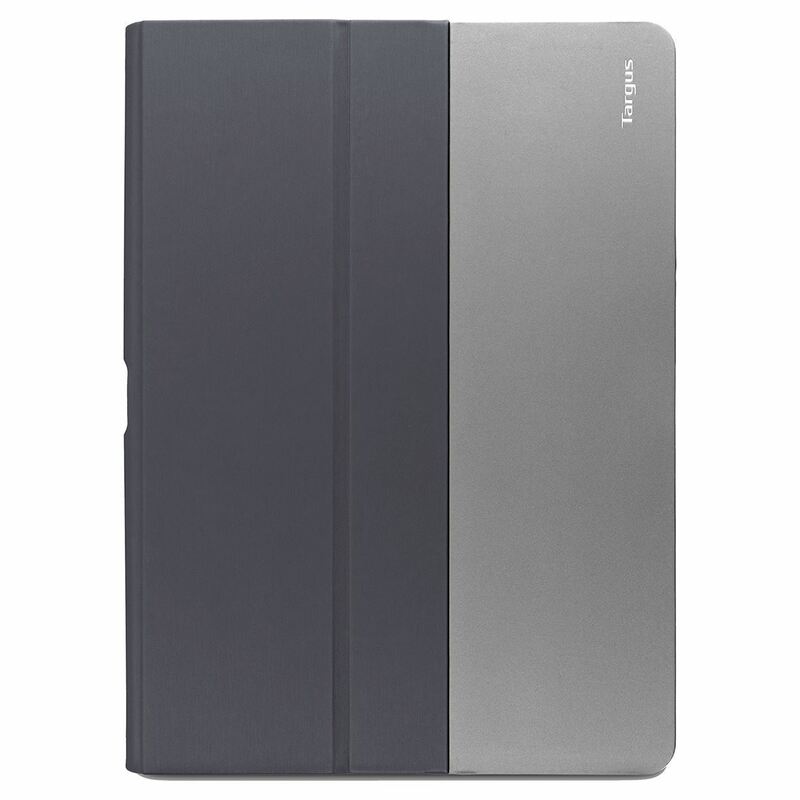 Position your tablet forward or backward in landscape or portrait for the optimal viewing angle. 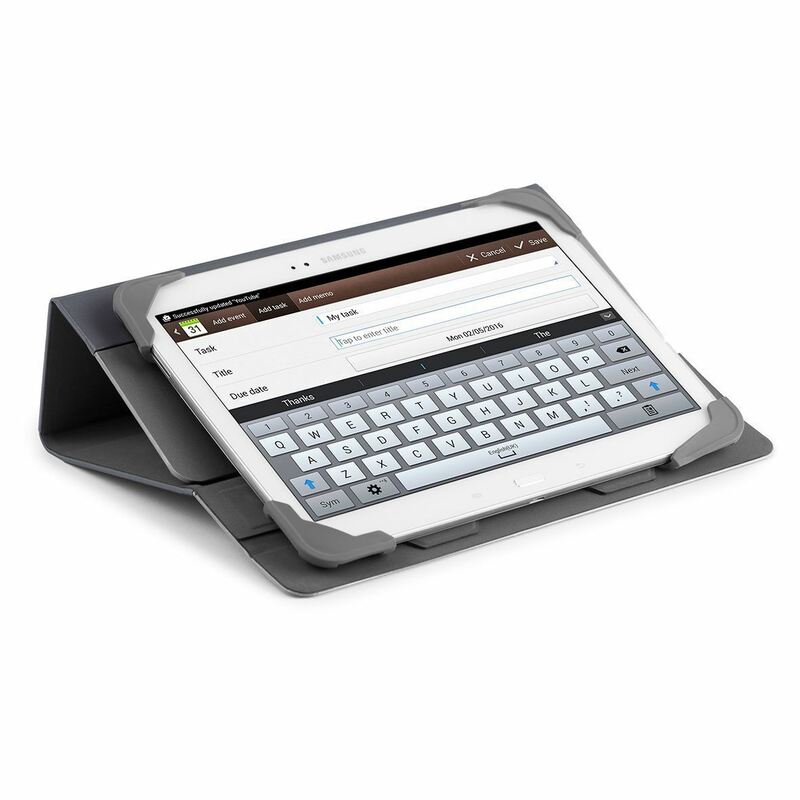 You can even create a convenient typing angle by folding the cover back to form a triangle stand. Flip, Point, Shoot. Taking a photo with your tablet’s camera has never been easier. Simply fold the corner of the back cover to reveal your camera lens. China 0	EditDelete Custom text Right Fit, tight grip. Your tablet is held securely and safely in place by a silicone system with reinforced shock-absorbing corners with just-enough stretch to grip devices with 9” to 10.1” screens.